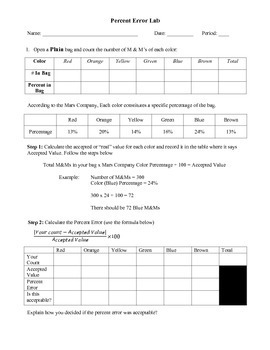 I have used this activity the last several years after I teach the concept of percent error. My students enjoy this activity and it gives them practice with not only percent error, but also calculating percent. I hope your students will enjoy it as much as mine do.